WASHINGTON – Acting Veterans Affairs Secretary Sloan Gibson called the Phoenix VA “clearly the most troubled location” in a troubled system, but assured lawmakers Thursday that improvements are being made. 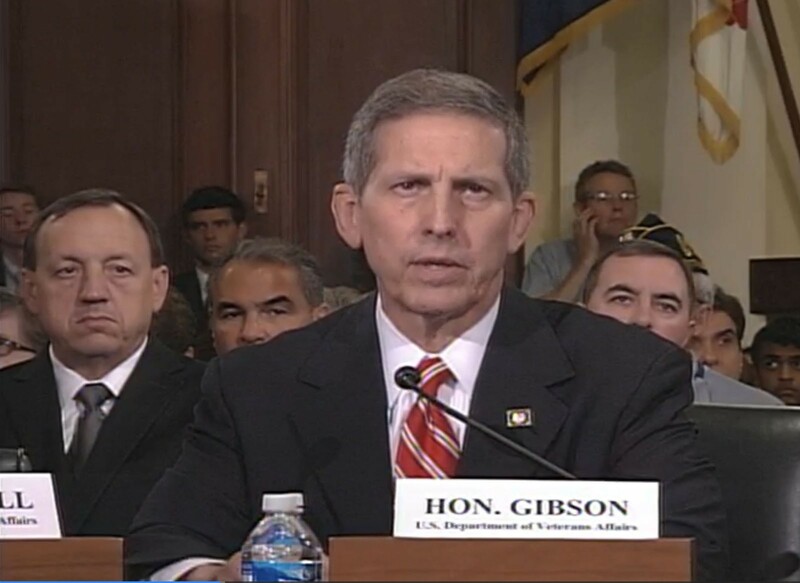 The comments came in testimony to the House Veterans Affairs Committee, where Gibson outlined six priorities for the department as it works to regain veterans’ trust. Those included getting veterans “off waitlists and into clinics,” fixing scheduling problems and ensuring that veterans “are the focus in all we do,” he said. “We understand the seriousness of the problems we face, we are taking decisive action to begin to resolve them,” Gibson testified. Those decisive actions included steps at medical facilities in Phoenix, where an inspector general’s report in May uncovered more than 1,700 veterans who were not only not getting medical care – they were not even on a waiting list to get treatment. “We’ve taken action on all of the recommendations made in the IG’s May interim report on Phoenix,” Gibson said, including calling all 1,700 of those veterans and scheduling appointments for a little more than 1,000 of them. The May interim report from the inspector general said auditors looking at the Phoenix facility “received numerous allegations daily of mismanagement, inappropriate hiring decisions, sexual harassment and bullying behavior” by VA managers there. A subsequent national audit uncovered similar problems throughout the VA system. “Being able to reach in there and grab a hold of the fact that they care, they want to do the right thing, is a critical element of what were doing,” he said of that visit. 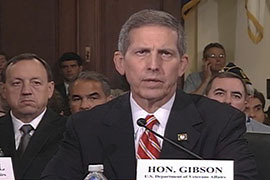 Thursday’s hearing was the latest in a series for Gibson, as congressional committees grapple with problems at the troubled agency. But Miller, the chairman of the committee, cautioned that veterans have to come before the agency. “The veterans are sacred, VA is not,” he said. Rep. Mike Michaud, D-Maine, the senior Democrat on the committee, praised Gibson for his efforts in the last few months. “You have stepped up to the plate at the most challenging moments in the Department of Veterans Affairs history,” Michaud said. Gibson told lawmakers, “We must, all of us, seize this opportunity. “We can turn these challenges into the greatest opportunity for improvement, I believe, in the history of the department,” he said. Acting VA Secretary Sloan Gibson told a House committee that Phoenix VA was among the most troubled in the nation, but that improvements are being made there and at other facilities.